While the SHOP SALE is still going strong, I wanted to introduce you to Asya & Cathy. 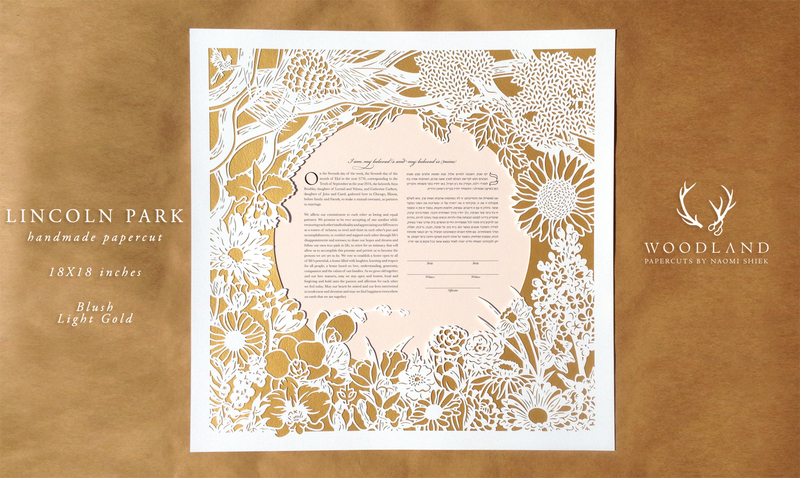 They first contacted me last year to create their custom heirloom ketubah. They shared their personal history and love story with me so I may capture it all in the details of the design. Right from the start their warm and gentle spirits poured out of the letters. Asya was one of the most pleasant people I have ever had the pleasure to correspond with! Chicago plays a major role in their personal lives. It's where Asya grew up and where the two met. It's where they both matured into adults, where they both now live and flourish, and where they will marry. Their wedding venue was at Lincoln Park Zoo under the nature boardwalk pavilion, a favorite date spot of theirs. It's a pretty sweet love story that Asya wanted to honor, especially as Cathy isn't Jewish but appreciates how important that cultural piece of Asya's identity is to her. I hope the ketubah honored it all! 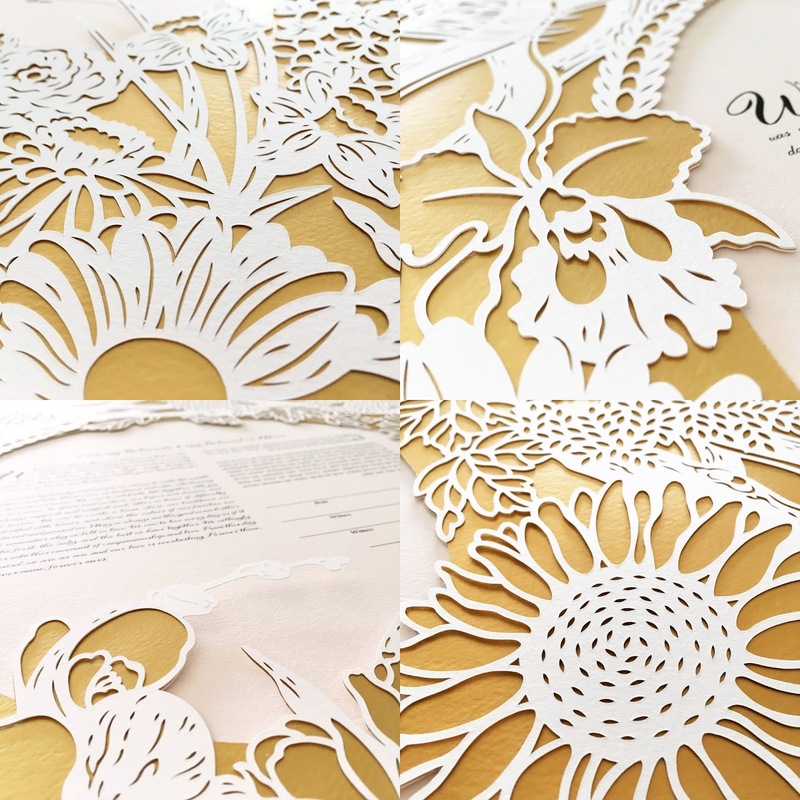 From their first date tulips to the orchid room in the Lincoln Park conservatory, we decided on a design enveloping their wedding vows that will feature all the flowers important to them, some hidden references (can you spot the Chai and the DePaul university emblem? ), and their wedding venue. We all became a little bit smitten with the magnificent end result! I picked up the ketubah today from the post office and it is just breathtaking. I had tears in my eyes opening it. Your work is stunning and the care you put it to ensure it is delivered with care and delicacy shows. I am just in love. This is going to be such an important element for our wedding and all because of you.